Few coffee machines are quite as polarizing as Keurigs! Pop over to Youtube and you’ll find people who either hate them or can’t live without them! So the question is: Is a Keurig worth it? Keurig machines offer unmatched convenience in brewing coffee, but at a cost. The machines themselves are expensive, as are the pods. But there isn’t any machine that can produce a single serving of coffee as quickly and as easily as a Keurig can. Now the more detailed answer! By far, the biggest advantage of a Keurig machine – any Keurig machine – is how incredibly convenient they are. The starter machines are also pretty small in size, so they don’t take up much space on your kitchen counter, either. You simply pop a pod in the bay, close the lid, and push a button, and within a minute, you’ll have a single serving of hot coffee to start your morning right. When I wake up, the first thing I want(and sometimes NEED) is a cup of coffee. I used to own a Keurig, and it was so easy to just go and pop in a pod, idle around for a minute, and have a cup of coffee in my hand. There’s no need to fiddle around with any beans, grinding, filters, or messy coffee grounds. Especially when you’re sleepy and your motor skills have not completely come awake yet! Plus, there’s no need to measure anything. The cups are already pre-measured for one serving of coffee – you literally just have to pop in the pod and push one button. You can even leave water in the tank overnight without any issues. So as far as convenience goes, Keurig machines rack up a nice big checkmark in the PRO column. Keurig happens to control 30% of the market share of single cup coffee makers in the United States, so it’s no surprise that a lot of coffee companies have jumped on the Keurig ship and make pods. All of your favorite names have their own pod offerings: Starbucks, Caribou Coffee, Dunkin’ Donuts, and Folgers are some names you’ll find that have their own pods. 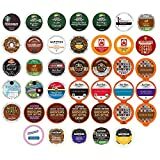 On the Keurig website, you’ll see there are – as of this writing – nearly 230 varieties of pods available. The Keurig machines are not limited to just being coffee makers. Keurig pods are available in a wide variety of beverages, like hot chocolate and teas. In this way, it’s very flexible. You can have your coffee in the morning, and if you’re feeling like another kind of beverage later in the day, you can just pop in an herbal tea pod or a hot chocolate pod(my preferred drink aside from coffee) and have another piping hot refreshment in your hand in just one minute. Using one pod every day will certainly save you money compared to going to a Starbucks, but if you’re a family of coffee drinkers and you collectively drink 3-4 cups per day, you’ll find that the cost of pods will run very high very quickly. Fortunately, there is a great alternative. Keurig makes reusable pods that you can fill your own coffee in and use it to brew just like a normal Keurig pod. This does detract a little from the extreme convenience of ready to brew pods, since you’ll have to measure out and fill your pod with grounds, but your coffee will still be ready in just around one minute. The cost savings will be quite significant. The average cost per pod works out to be right around half a dollar. A 30 ounce can of the same coffee works out to be around the same cost, per ounce. However, for brewing one cup of coffee, you’ll need one scoop of coffee, which is two tablespoons, or 0.35 ounces give or take. 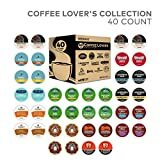 That means you can have 3 times as much coffee using regular grounds than k-cups for the same price! So it’s good of Keurig to allow this functionality of using your own coffee grounds in reusable cups. Other pod machines such as Nespresso don’t have official versions of reusable pods, but people have made aftermarket devices to emulate the effect. Here’s where things get testy. Ask a coffee purist, and they’ll tell you that Keurig machines make terrible coffee. 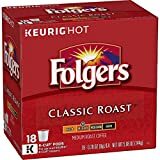 A lot of the aromas and oils from coffee that are extracted through more traditional brewing don’t get as much treatment as they deserve in Keurigs, and the result is a less-than-exquisite cup of coffee. However, you need to remember that you’re getting your coffee in less than a minute – and the only other option you have is instant coffee, and don’t even get me started on that! So given the constraints of time and convenience, the Keurig does not do an altogether bad job of brewing coffee. But if you want “pure” coffee, then you should consider other methods of brewing! On the flip side, you have the freedom to try tons of different kinds of coffees and brands without having to worry about wasting coffee. There are sampler packs available which contain a variety of coffees. Normally, you’d have to buy a large quantity of grounds, but if you like to give your taste buds something new every day, try a new pod every day. The first and most obvious disadvantage of a Keurig is the upfront cost. Keurig machines will set you back $100 at the very least. Compared to other drip coffee makers, Keurigs are very expensive. When comparing to a French press, even more so! For the cost of a high end Keurig, you could probably buy a grinder and a small coffee machine. So to justify the cost, you have to weigh the convenience factor. Drip machines will take a few more minutes to brew, and you’ll have to manage the grounds yourself. Aside from the upfront cost, the recurring cost of pods will also run high very quickly. It will still be cheaper than popping into Starbucks every morning, but it is more expensive than using coffee grounds, or making your own grounds from roasted beans. The second and more striking cost is the environment cost. According to this article in the New York Times, Keurig sells billions and billions of K-cups per year. Even though they’re moving to recyclable pods by 2020, there is still a carbon cost involved in making the pods and recycling them. Finally, even if consumers are offered only recyclable pods, consumers will still have to actually recycle them, which is an entirely different story! You’ll have to peel off the foil to separate it from the plastic, and your recycling center will have to deal with mountains of tiny plastic pods. 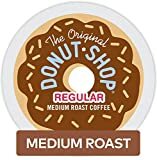 Let me share my experience brewing with Keurigs and brewing with an espresso machine. I used to own a Keurig, but right now, I use a small espresso machine and a french press for my coffee. Making coffee with the espresso machine is quite an involved process. I prefer cappuccinos, so I have to steam the milk, brew the espresso shot, and then combine both. It takes me about 4 to 5 minutes to make a nice cup of cappuccino – and the time will nearly double for every extra cup I have to make, since I have to foam the milk in every cup individually. Back when I used a Keurig, I’d just have to pop in the pod, press a button, and add some milk – I prefer a spot of milk with coffee – and I’d be ready to go. Is the Keurig coffee better than my cappuccino? No way! But is it convenient and still good tasting? For sure! I also use a French press at home. French press coffee tastes really great, because the water and coffee mix together really well and there’s a lot of time for the aromas and oils to get naturally extracted from the grounds. However, a cup of French press takes even more time to brew than a cup of cappuccino. First, I have to wait for my kettle to heat the water up to my desired temperature. My kettle only has one option, so I have to wait for it to finish boiling, then wait for it to cool down. Then I pour the water into the French press and give it a few more minutes to brew, and finally I get to enjoy my coffee. Does the coffee taste excellent and rich? For sure! But if you’re in a hurry or don’t wish to do so much for a simple cup of coffee, a Keurig is a good alternative. Finally, let’s say you’re using a drip coffee maker. Drip coffee makers are the slowest of the lot, but their main advantage is being able to brew a large volume of coffee at once. If you’re making coffee for guests, not only will the Keurig machine turn out to be quite expensive – you have to use that many more pods – it will take one minute per cup, and that may end up being the same as the time it’ll take your drip machine to brew that many cups. Drip coffee tastes OK, to be completely honest. It’s not as good as espresso or French press coffee, or even Keurig, in my opinion, but the main advantage of a drip machine is the cost. For $20, you can find a decent drip machine. Are Keurigs worth it? It really depends – there are a lot of factors, but I feel the deciding factor should be convenience and variety. If you’re a coffee purist, you won’t touch a Keurig machine or even go near one. But if you want fast, decent coffee in the morning without the hassle of messing with grounds and/or beans, Keurig will do the job beautifully.